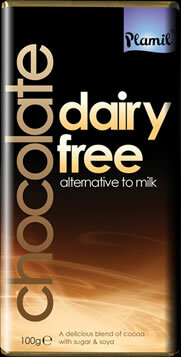 Gluten free chocolate, without milk, eggs, soya, dried fruits or artificial sweeteners. 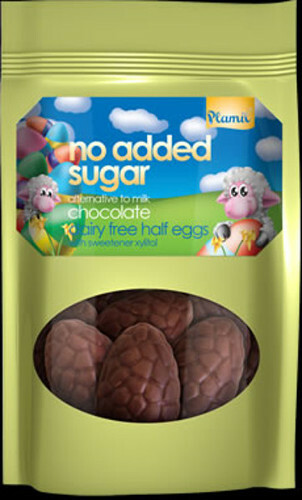 Plamil is a vegan brand. 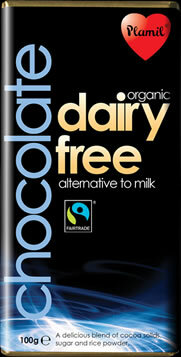 Ingredients: cocoa mass, sugar, cocoa butter, emulsifier: sunflower lecithin.